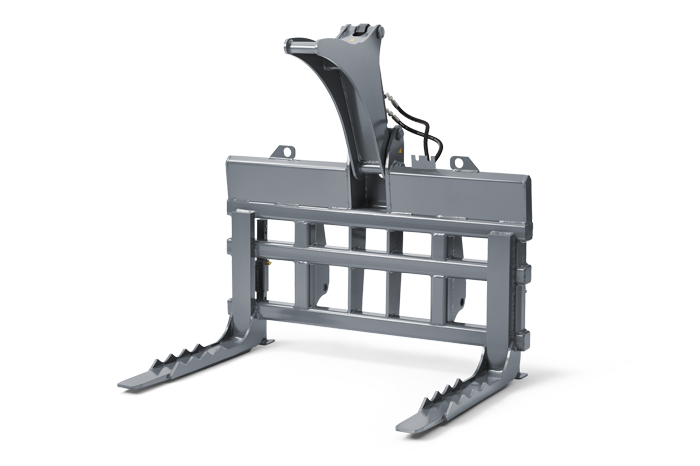 Suitable for picking up, stacking and transporting logs and small wood. The gripping function prevents the log from falling out. Design with 1 or 2 upper prongs (fork length 900 mm). Minimum clamping range 220 mm, maximum 1200 mm. 2500 kg load capacity (centre of gravity of the load 500 mm). Technical details: Width 1450 mm.